The Award is aimed at schools across the UK. We currently work with over 3,500 primary schools, secondary schools, schools for children with special educational needs and pupil referral units across England, Northern Ireland, Scotland and Wales. Schools need to register with us to take part in the programme. 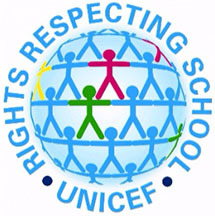 Schools involved in the Rights Respecting Schools Award work towards recognition that they have embedded children’s rights in their school’s practice and ethos. Schools are required to implement four evidence-based standards that cover the leadership of the school, knowledge and understanding of children’s rights, ethos and relationships and the empowerment of children.